“For if you remain silent at this time, relief and deliverance for the Jews will arise from another place, but you and your father’s family will perish. And who knows if not for this very time you achieved royalty?”— Esther 4:14. It brings joy to my heart when I see little children dressed up in their Purim costumes on our streets here in Israel. I loved it when my children donned their costumes, paraded on the town’s sidewalks with their elementary school class, and had tons of fun at their class parties. To them, Mordecai and Esther were our heroes, our role models. Purim was happiness, songs, cookies, and treats; it was the reading of the Megillah (the book of Esther) and the foot stomping, grogger noise, boos and hisses that we let out when Haman’s name was read. It is fun to see my neighbors in a giving mood, exchanging presents of candy, cookies, and other food items. For these are “days of celebrating and rejoicing, a holiday and a time of sending each other portions of food” (Esther 9:19b). The feeling all around is one of happiness and giving. Combine this historical event with the coming of springtime, and how can we not feel good? But then I am faced with my growing uneasiness during this holiday. I am uneasy at the lack of God’s name appearing even once in the Megillah. Even the language of the book makes me uneasy, for it is not Hebrew in the main, but Aramaic, a diaspora language. I am also faced with uneasiness when I read about diaspora life in Persia, as once again our people are at the mercy of a foreign ruler who couldn’t care less about our fate. I know the end of the story; God comes through with his deliverance! But my uneasiness persists. The book of Esther contains a divinely revealed message to us. It contains a pattern that we are to learn and act upon. To me, this message resounds through the ages, throughout Jewish history. Surely the book of Esther teaches us that the diaspora will always be fertile ground for many of us to lose our identity as Jews. Some of us will not, but we will still have to fight to simply exist; some of us will survive in the diaspora, and some of us won’t survive. Jewish life throughout our diaspora history has repeated this same pattern everywhere we have lived. My grandmother used to tell me how she suffered in Czarist Russia as a Jew in the early 1900s; my father used to tell me how he had to fight with his fists to get home safely from school in early 20th century Midwestern America. I too had a few bouts in my youth in the 1960s in order to do the same. Here or there, then or now, this pattern from Esther seems to repeat itself: Diaspora life consists of playing politics deftly to survive, while being dependent on non-Jews to protect us and grant us the right to live: “Esther . . . fell at the king’s feet, and wept and implored him to avert the evil intention of Haman the Agagite, and his scheme that he had plotted against the Jews” (8:3). All over the world today, in Western Europe, in Central Europe, and in North America, our people’s situation is getting worse. In the USA, anti-Semitism is being openly expressed right up to the halls of Congress. Recently, the Israeli government assessed the worldwide Jewish situation as resembling that of early 1930s Europe. Now, I certainly do not want to hear that, but it is reality. Recent events in Belgium and in the USA show movement in that direction. In England, France, Germany, Sweden, Denmark, Hungary, Belgium, Switzerland, Holland, Turkey, and Tunisia, our people live in outright fear. I know because I spend time every year in these places, talking to both Jewish and Christian leaders. The only city in all of Europe where I feel safe enough to wear my kippa in public is, sadly enough, at Oswiecim, Poland (the site of the Auschwitz-Birkenau death camps). Esther and Mordecai remained in the Persian diaspora, and they played their cards of wisdom, politics, and intelligence to outmaneuver Haman and his allies. They played their hand well. They were involved in a life or death situation for over a million people. Yet, God’s name is not mentioned once by them, nor is He called upon in the text to deliver His people. It is as if He is forgotten by His own people. I admire the courage and wisdom of Mordecai and Esther. And yet, our history hasn’t always displayed that same wisdom, nor have we had sympathetic people in high political places to “save” us on any consistent basis. We have not always been given an opportunity to speak to a king who would listen to us. This was certainly the case during the Holocaust. In the days of the Persian Empire, Haggai, Zechariah, Yehoshua the Priest, Zerubabbel and 50,000 other Jews made another decision. Their actions also took courage and determination to carry out. And on their heels, Nehemiah and Ezra repeated that same decision. All of these famous Jews made aliyah (they immigrated to Israel) in their generation. They left the centers of the Persian diaspora for the Land of Israel. My uneasiness during Purim comes from my concern that we will embrace one lesson of the book of Esther, but ignore another one. The events of the Megillah show us that God is behind the scenes, delivering His people in ways that we sometimes cannot even see. And that is indeed one true and good lesson. But the other lesson? The Megillah carries no encouragement for us to remain in lands and situations where we are subject to annihilation. Surely ensuing Jewish history also argues for us to be aware of this. We all wonder how many more violent attacks on synagogues will occur, both in Europe and in America. We wonder how many more Israel-hating American Congressmen will be elected to national office in the near future. I am sorry to be so blunt, but I cannot be otherwise. Recent charges against Jewish communities in the USA have reiterated Haman’s accusations: “There is a certain people that is scattered abroad and dispersed among the people in all provinces of your realm. Their laws are different from every other people’s, and they do not observe the king’s laws; therefore it is not befitting to tolerate them” (3:8). Haman asserted that our ancestors were disloyal to the state and kept to their own ways. Intolerable minority! Haman was full of lies, but the king didn’t care about truth. How often has this been our situation in Diaspora history? I urge my non-Jewish readers as Mordecai urged Esther: “For if you remain silent at this time, relief and deliverance for the Jews will arise from another place. . . . And who knows if not for this very time you achieved royalty?” Please advocate for the welfare of your local Jewish communities. Please speak to others; please pray and intercede for God’s destiny to be embraced by our people. As Isaiah put it, “Comfort, comfort my people” (Isa 40). As believers in Yeshua, you are “grafted into the root of the olive tree” (Romans 11), so you share in part of Israel’s destiny. Perhaps it is for this very time in human history that you have been given many of the blessings that you have—so that you can help Jewish communities and aid those who make aliyah. The book of Esther’s messages only reach their fulfillment with a return to Israel. Otherwise, they are part of a never-ending diaspora history characterized by continual oppression, suffering, and eventual migration. In the days of Esther we escaped, but there were plenty of times afterwards when we did not escape. Life in Israel has its dangers, certainly. It has its hardships, definitely: national headaches every day; violent attacks that murder Jews just because we are Jewish, yes. Life in Israel also had its great difficulties in the days of Ezra and Nehemiah. Yet, as the events of Esther and Mordecai occurred, Ezra and Nehemiah were on their way to Israel. Jewish life in Persia carried no enduring promises. Nor did Jewish life in medieval France, or in Nazi Germany, or in Western Europe today. Life in Israel does carry enduring promises. I am Adonai, I do not change. So, the children of Jacob are not annihilated (Malachi 3:6, author’s translation). 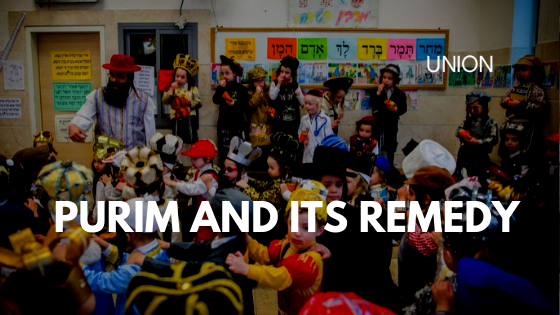 Purim is March 20-21 this year.